Before Christmas I wrote about visiting Mishkins with an old uni friend and how much fun it was. I missed that crazy cat and realised we had the same level of greed when it comes to good food. There were two other ladies from our course who where also – lets say ‘good eaters’. As a group we aren’t the kind of girls who would order a green salad when there’s steak on the menu. 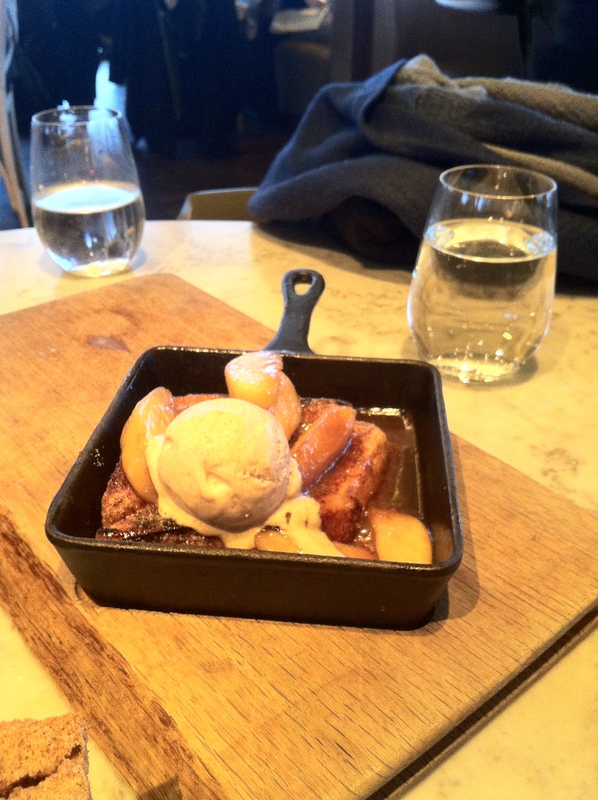 Pretty much the Monday after visiting Mishkins and my friend, I email the three ladies and recommended we treated ourselves to an amazing meal at The Duck and Waffle as I had been hearing really good things about it and been drooling over the menu! It’s fair to say there was a big build up to this meal, weekly countdowns, reviewing the menu multiple times, long twitter messages of how excited we all were and think there was an exchange of a picture of crispy pig ears at one point. There was a slight issue getting to the restaurant, the Thursday night while I was packing my things for the weekend, there was serve snow warnings for my area and I thought, ‘phfff we never get snow, I’m going to be fine and make it to London’. Cut to me opening my curtains on Friday morning and greeted to a blanket of snow. Damn. I donned my walking boots and waded my way to the bus stop to find out they were cancelled. Double Damn. So ended up working from the warmth of my flat and checking the train timetables every 20 minutes to keep checking my train hadn’t been cancelled. They hadn’t so I layered up and battled my way to the train station and with a stroke of luck they were running on time! Now you’re probably thinking this seems a lot of effort for one meal, yes I was excited and there had been a lot of build up to it but I also had to make it to London for my only brother’s engagement drinks and even if I had to break out the huskies I was going to it. There was a slight moment when our breaks had a fault around Reading – now I don’t mind waiting on a warm train for an extra 40 minutes, Mr Train Driver you make sure they are working before we head off again. I honestly don’t mind (unlike some of my fellow travelers.) I got there and so did my friend who had to come from Cardiff who was even worse hit with the snow. So we made it! Ya! 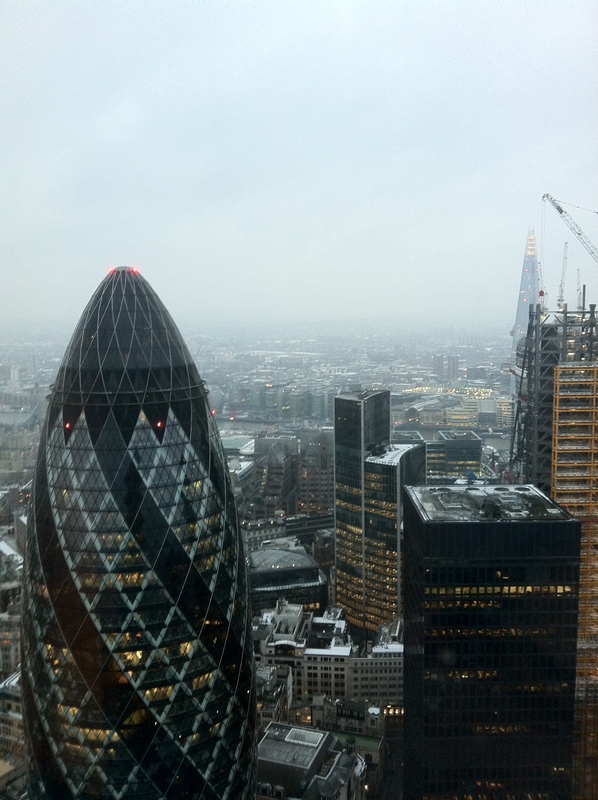 After all the build up and we where riding the glass elevator to the 40th floor of the Heron Tower. The views were spectacular but nothing compared to the food we went for. It’s fair to say we went to town when it came to ordering. We shared the plates and it was great, nice and causal, but still was fine dining. 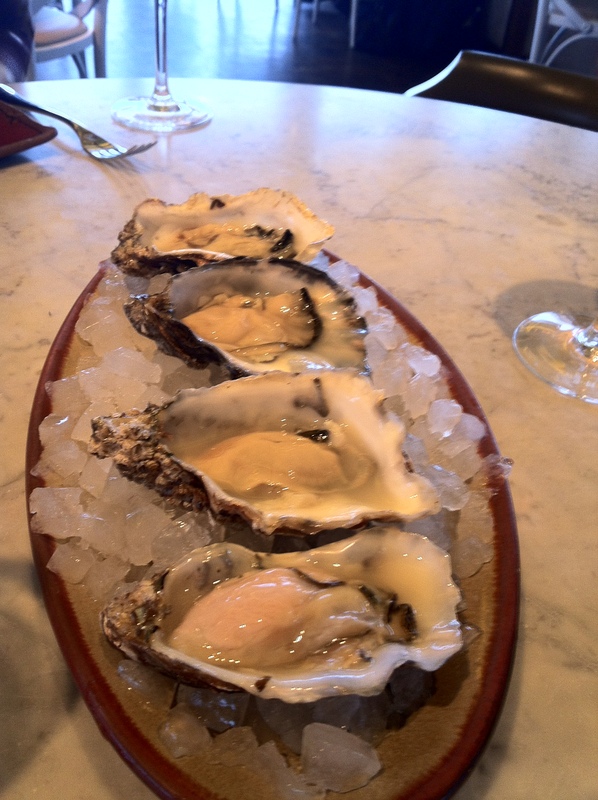 Firstly, we went for the Carlingford Rock Oysters with Traditional Condiments. Its been about 20 years since I last tried an oyster, the first and last time I tried them I was 5, on a family holiday in France and knocking them back without really knowing what they are. They were beautiful, little tastes of the ocean. The perfect way to start probably the most perfect meal I’ve ever had. 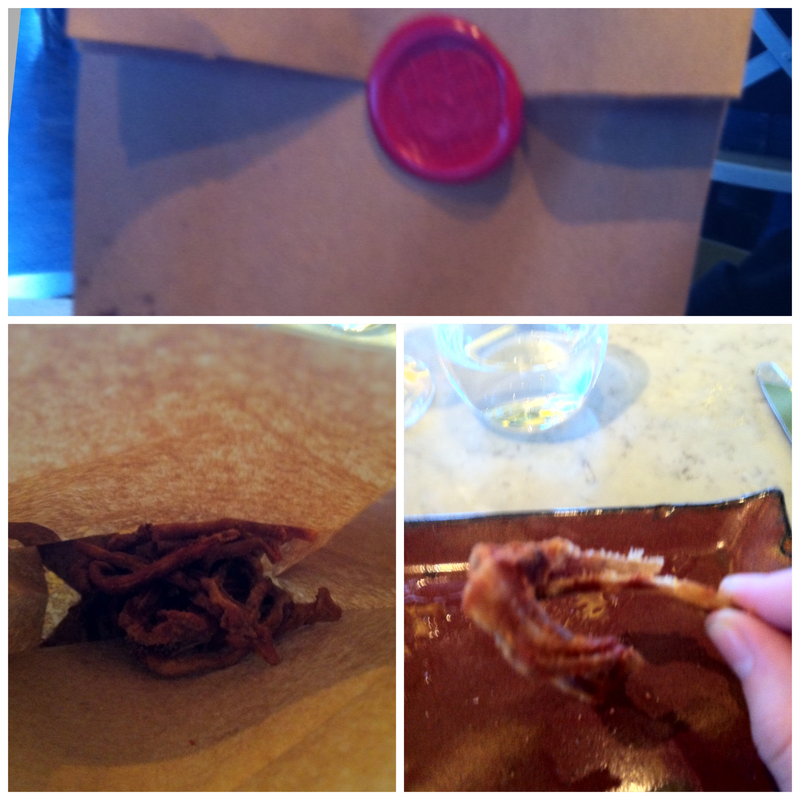 Next up was the aforementioned and high anticipated bbq-spiced crispy pigs ears. Served in a brown bag with the Duck and Waffle wax seal, was crispy thin strips of fried pig ears with the most delicious bbq seasoning, that was slight sweet but packed a smokey punch. They didn’t last long! 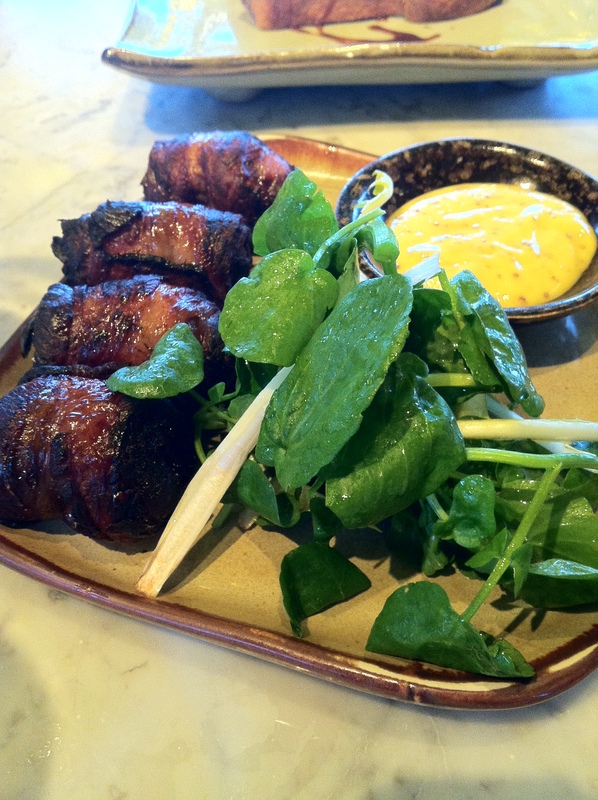 These piggie ears was followed by the Bacon Wrapped Dates with Linguiça Sausage and Dandelion Salad. The sweetness and almost toffee like flavour from the dates matched with the smokey note from the bacon, then meaty centre from the sausage, meant I was a little sad when I finished mine. Damn. Next up was a bit of a curve ball, but a dish I was really looking forward to. 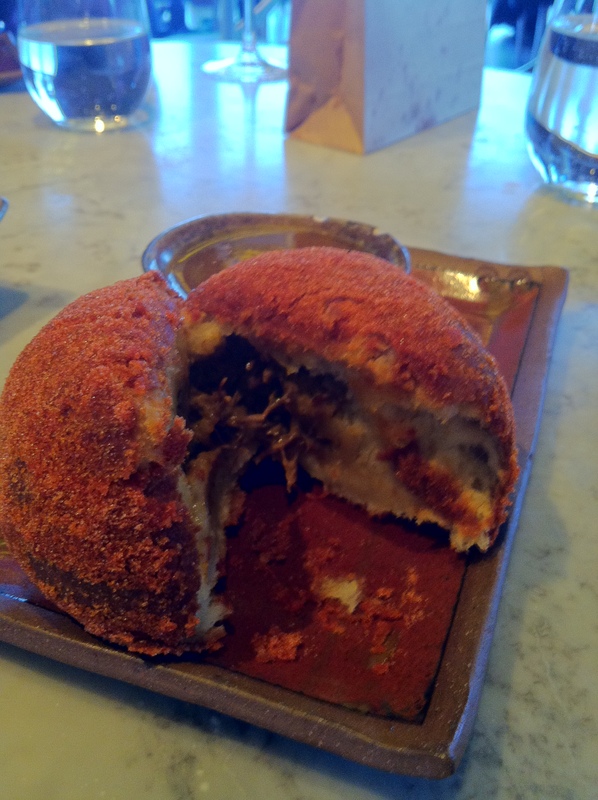 The Spiced Ox Cheek Doughnut with Apricot Jam. Rolled in a sweet, smoky sugar, meaty, meaty middle and served with smooth apricot that just made the whole dish unmissable. Now for the main effect, THE DUCK AND WAFFLE!!! We were going to have one each, until the waitress recommended that if we were having the other dishes, that it might of been wise if we only shared one between two of us. Good call. 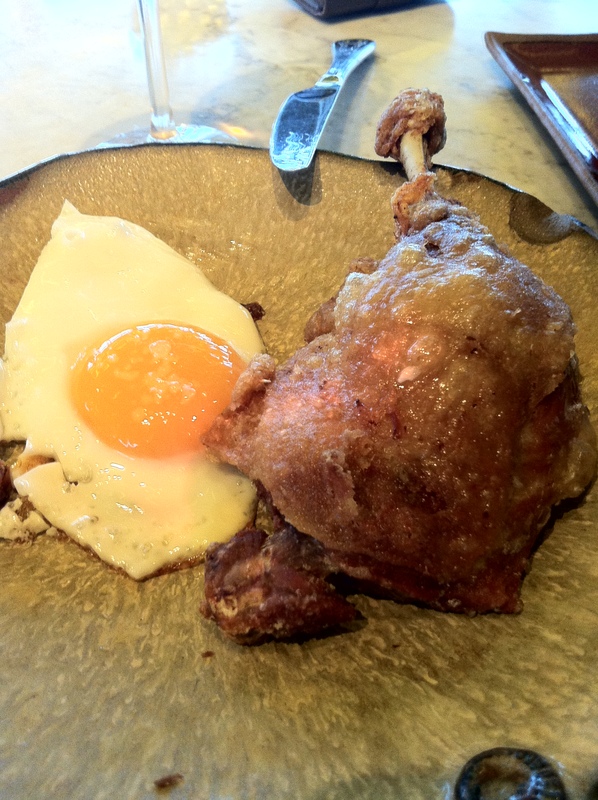 Half a fluffy waffle, topped with a crispy and tender confit leg of duck and a perfectly cooked fried duck egg. Also there was a pot of mustard maple syrup to slather over the whole dish with. 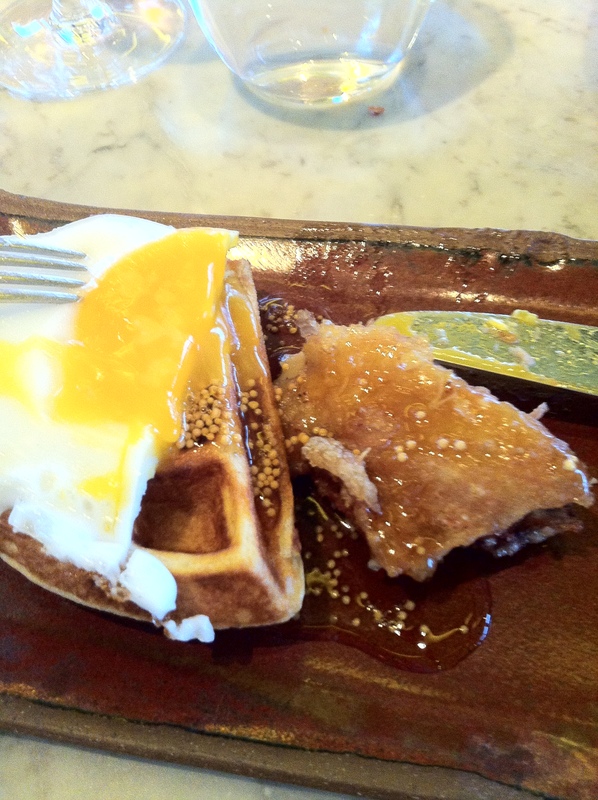 The egg yolk oozed over the soft waffles and mixed with the crispy duck, is just fantastic. I actually still dream of this dish and plan out ways I can get it shipped over to Bristol for my dinner. 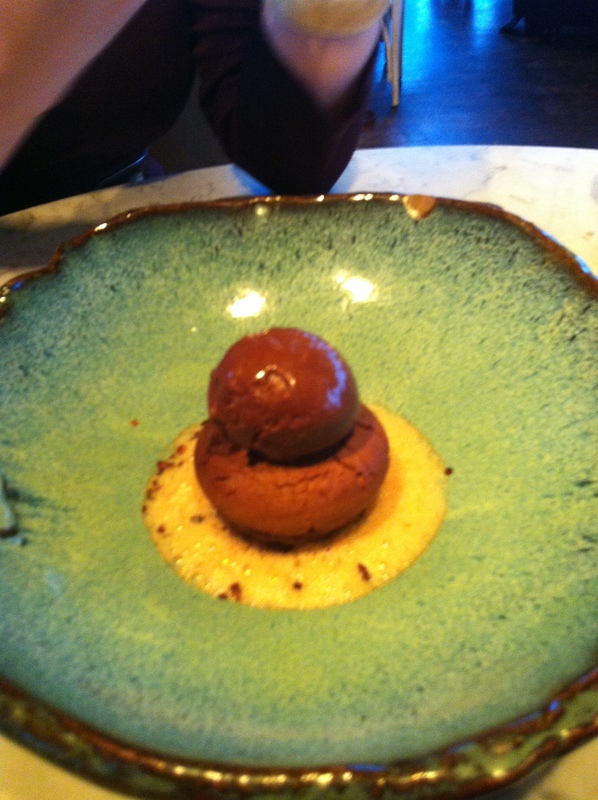 After all that amazing meat, we paused for 5 minutes before ordering the four desserts on the menu to share. It would of just been too hard to pick just one to try! 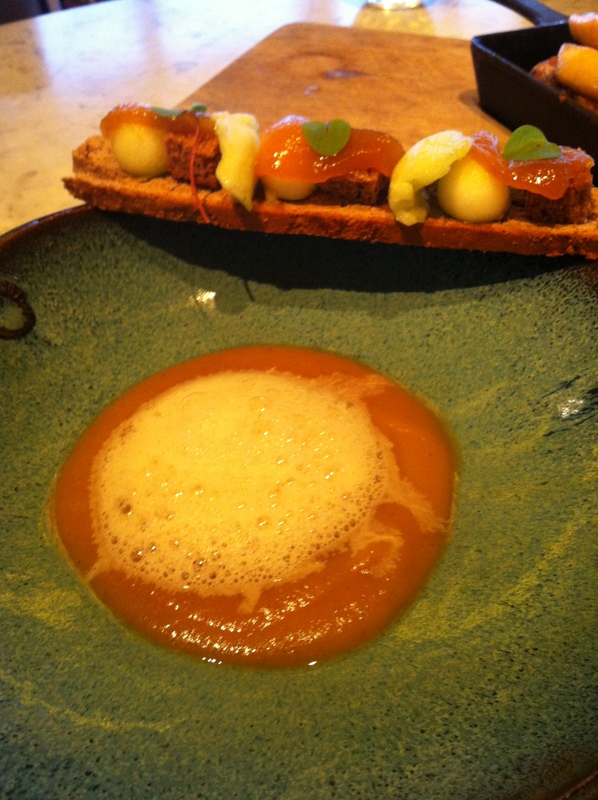 First, we had the pear puree, with pear foam, gingerbread and sorrel. I’m not normally a huge fan of pear but this dish was smooth, buttery and worked well with the spice of gingerbread. 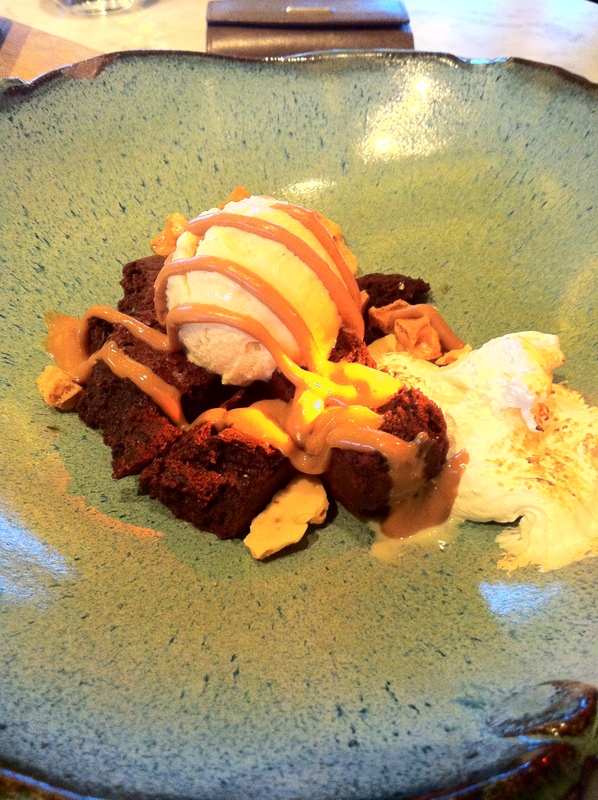 I then moved on to the Chocolate Brownie, peanut butter, marshmallow fluff, ice cream and honeycomb. There isn’t anything in that list not to like, actually I could of eaten that all day, side by side with my Duck and Waffles. 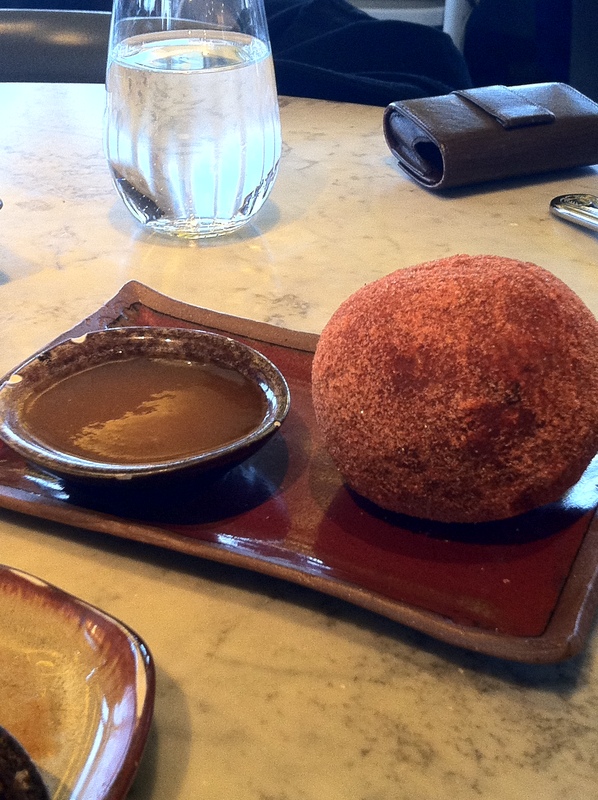 Lastly, and by no means least, probably my favorite of all the desserts were the Torrejas with Maple Caramel Apples. 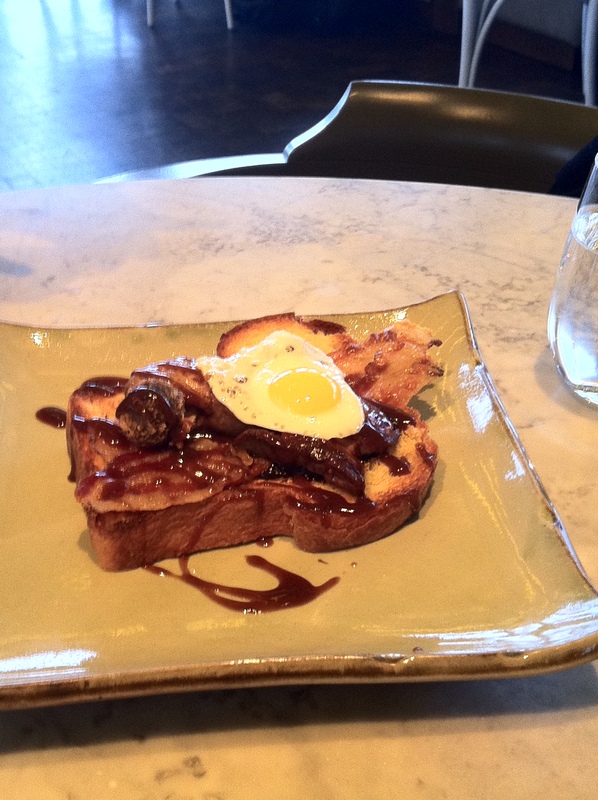 The Cuban French Toast was divine. The toast was crisp and worked so well with the caramel apples and the softness of the bread. There was a touch of the cinnamon added another warmth to dish. We ended the epic feast with a cocktail, I went for the Winter Negroni, which was – drum roll – Bombay Sapphire Dry, Martini Rosso, Compari and Anitca Formula, raisin, date and roasted chestnut – rested, bottled and capped. Damn – it knocked my socks off! 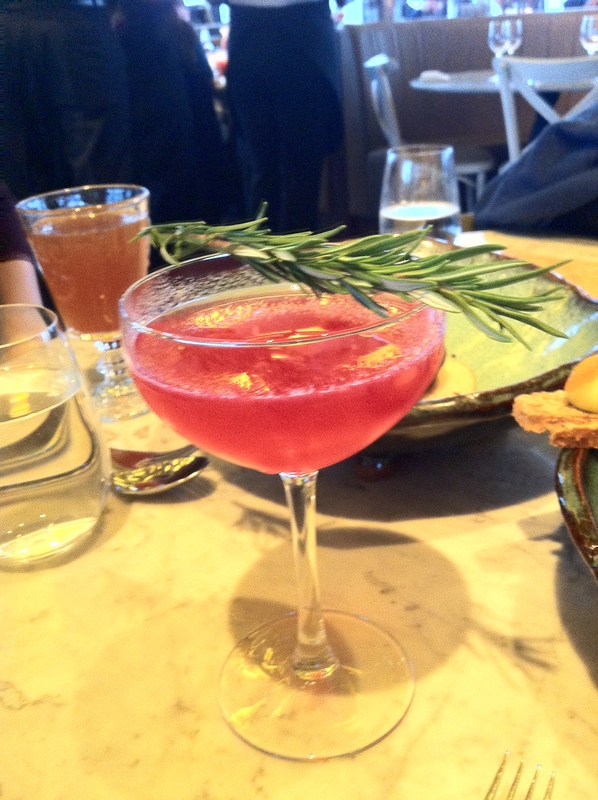 Two of the girls went for the Roasted Cosmopolitan, Grey Goose Citron, triple sec, cranberry conserve and lime, roasted bone marrow seasoning. 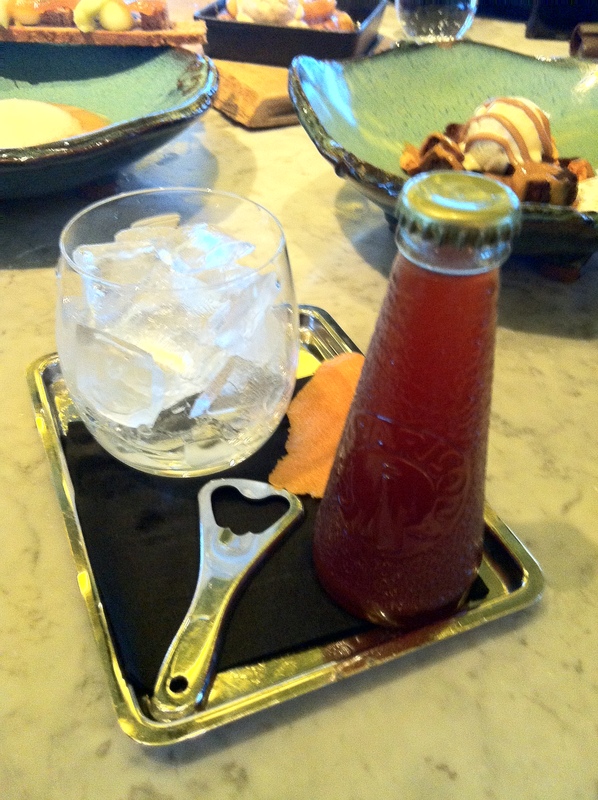 The bone marrow added a silky mouthfeel to the drink, but not overly meaty. The meal was incredible and can’t wait to get back to try out more dishes on the menu, actually would happily work through the menu! 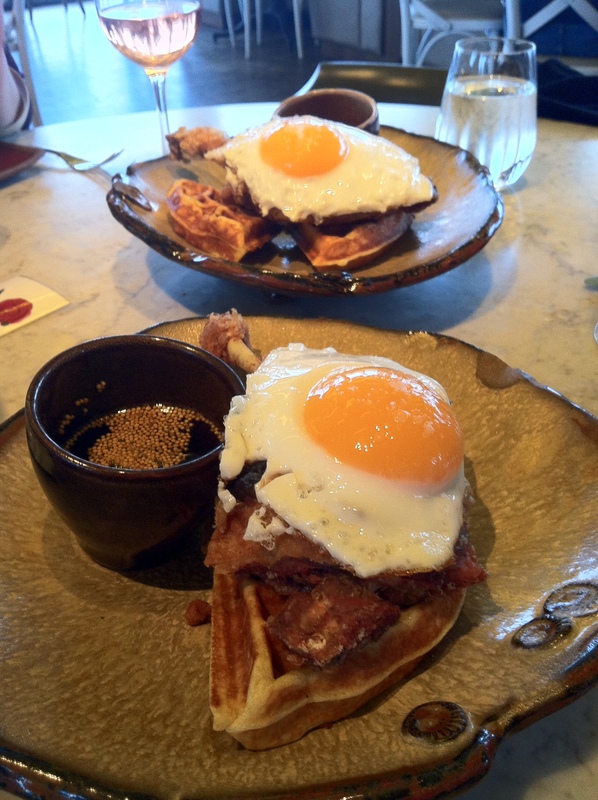 I can’t tell you enough, how everyone should try The Duck and Waffle – best thing they’re open 24/7, so get involved! 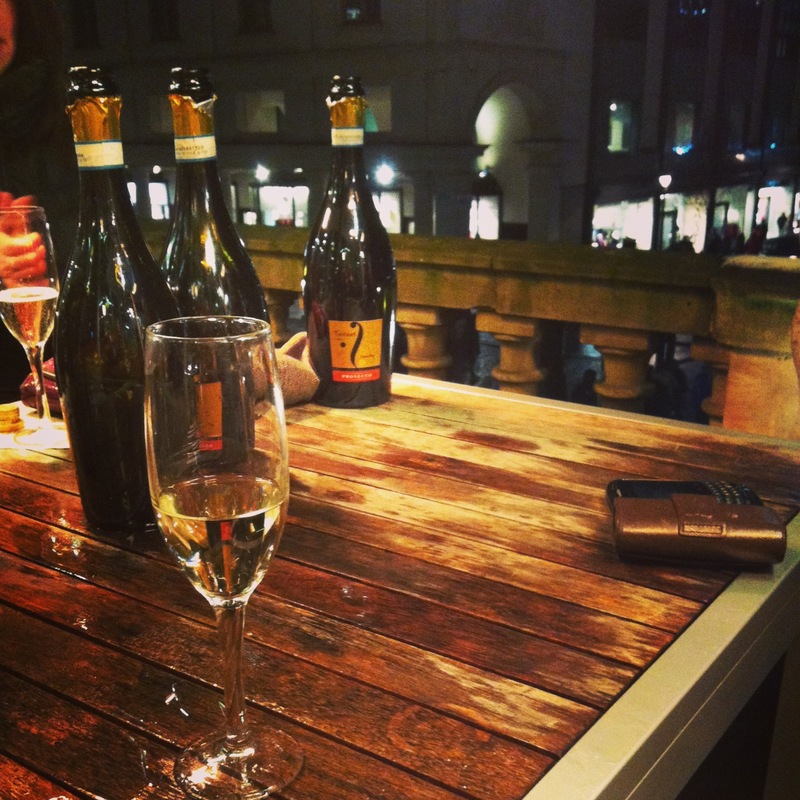 The rest of the evening we managed to polish off one or two (or more ahem..) bottles of prosecco and have a proper catch up. Stay tuned for the repeat of #scoffsaturday soon, but this time we hit up Cardiff and can’t wait.